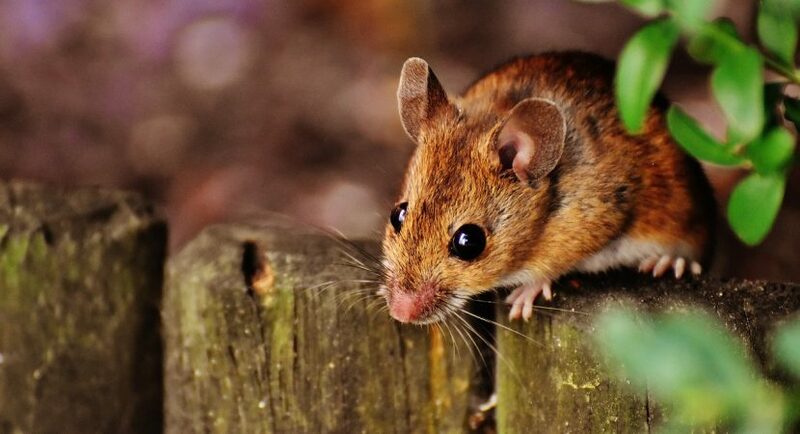 Mice are some of the most common pests that you can find in many homes. They rely on these houses for shelter and will set habitat in the kitchen which acts as their primary source of food supplies. Leaking pipes and other sources of water within the house provide them with readily available water. Given these favourable conditions, mice easily thrive and start becoming a nuisance. They are not only an irritation but can also be carriers of diseases and damage lots of things which would cost you a lot to replace. An actual mouse sighting is the most obvious indicators of infestation. In some cases, you may see something move but not actually get a glimpse of what it was. If this happens to you, there is a good chance that you saw a mouse. These rodents are swift and catching a glimpse of them isn’t as easy as you may think. Always investigate further and confirm what you saw before the mice do any significant damage to your home or food. Look out for any droppings to confirm your case and listen for gnawing sounds especially at night when things are quiet. Besides actual sightings, droppings are another obvious indicator of the presence of mice. Fresh mice droppings are usually moist and dark brown in colour. Over time, the droppings become grey, dry, and crumble easily upon contact. A single mouse produces between 40–100 droppings per day. The droppings are tiny and have a pellet shape with pointed ends. Look for the droppings below sinks, cupboards, drawers, food storage areas, and in tights corners. You will find the highest concentration of droppings where these rodents nest or feed from. Inspect the areas where you find these high concentrations to know whether you are facing a new infestation or a long-existing one. If you find gnaw marks on food packaging and the structure of your house – then you have a potential mouse problem in your hands. The gnaw marks usually become darker over time. Lighter gnaw marks are usually new and indicate a continuing infestation. Other areas that may have these marks include baseboards, door and window frames, cabinets, or wall entry points. These marks may also show whether you have mice or rats. The latter’s marks are usually larger given the size of their teeth. If you have had a mouse infestation before and the current gnaw marks appear larger, you may be facing a new problem of rats. If you hear noises up in the attic or within your walls, especially at night – then you may have a rodent problem in your hands. Given the small size and the light weight of mice, the sounds will be faint and you can only hear them when everything else is quiet. The sounds are of different types – gnawing, scurrying, scratching, and squeaking. Whenever you hear any of these sounds, take the necessary action because it may be an indicator of many other types of rodents or animals. If you have other pets like dogs and cats – they are likely to be more active in areas with mice. The increased activity is because of the odour that rodents like mice and occurs when these rodents have just go into a building. If you see your cat or dog pawing away where it had not interest in before, inspect the area for rodents. If you find a toy or pet food in these areas, then you do not have to worry about rodent infestation. Depending on the magnitude of the infestation – you may detect a foul smell emanating from some hidden areas. The odour is an indicator of active rodent infestation. Mice use items like fabric, plant matter, or shredded paper to build their nests. If you find any of these materials in an area with droppings, tracks, odour, or gnawing – then the likelihood of you having a mouse or rodent infestation is high. Knowing the location of a nesting area makes it easier to deal with the problem. If there is mouse activity within your home, mice tracks and runways will be visible becoming fainter over time. You can easily detect these indicators by shining a flashlight on them at an angle. If present, you are likely to see urine stains, droppings, tiny footprints, or smudges. To confirm any suspicions, you can sprinkle some flour or powder in the suspected area. If you observe any trails on the flour or powder – then you have mice or rats in your home. If you can see rodents even during the day then infestation has reached high levels. However, if you only see them at night, the situation isn’t that big and any measures taken will be straightforward and work effectively against the mice or any other rodents that may have found their way into your home. Simple traps with bait will suffice in dealing with the problem. On the other hand, if the infestation is in high levels, it would be prudent to contact professionals to deal with the problem. The above methods will help you discover an infestation during the early stages which makes it easier to exterminate them. Ensure that you use an eco-friendly extermination method that wont harm you or your family and pets.